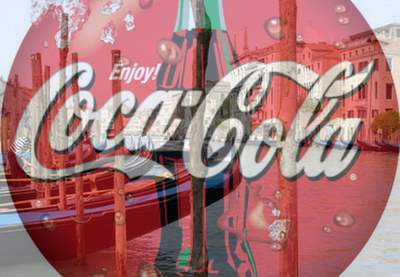 "Coca-Cola is not buying Venice! ", its city council stated this week, reacting to polemics over a planned million-dollar partnership between the soft drinks giant and the lagoon city. An Italian daily had reported the city was "selling itself" to Coca-Cola in a 2.1 million-dollar deal involving "vending machines in every corner of the city", including St Mark's Square. In a city where tourists are even forbidden from picnicking on urban decorum, the council's chief of staff said the 60 vending machines would not be placed on public soil, let alone near landmarks such as St Mark's. Tongue-in-cheek website Only In Italy adds: "Nothing like standing shin-deep in dirty lagoon water paying 5 euros (6.35 USD) for a can of carbonated water with some flavoring and sugar. Well, if one considers the legal fleecing that goes on every day in Venice, what are the alternatives?" More posts on The Road about Italy. Thank you for flying Church of England! China in Africa: The Future? How green is your Nintendo? The end of the US Dollar as we know it. My alter ego or a system error? Remembering one of our own. TJK. UN to the US: "You owe me money, dude!" Wanted for war crimes: the Sudanese president. Should China bail out the West?